Whether it’s an accounting system, a payment gateway, or any other third party application that provides an Application Programming Interface (API), you can integrate it with your Zoho CRM to deliver robust automation.When these systems communicate seamlessly, they enable time savings, increased accuracy, and empower your staff to focus on revenue generating tasks as opposed to mundane double data entry. An API is a set of clearly defined methods of communication between various systems. As such, the API is paramount to the optimal functioning of integrations with your CRM. 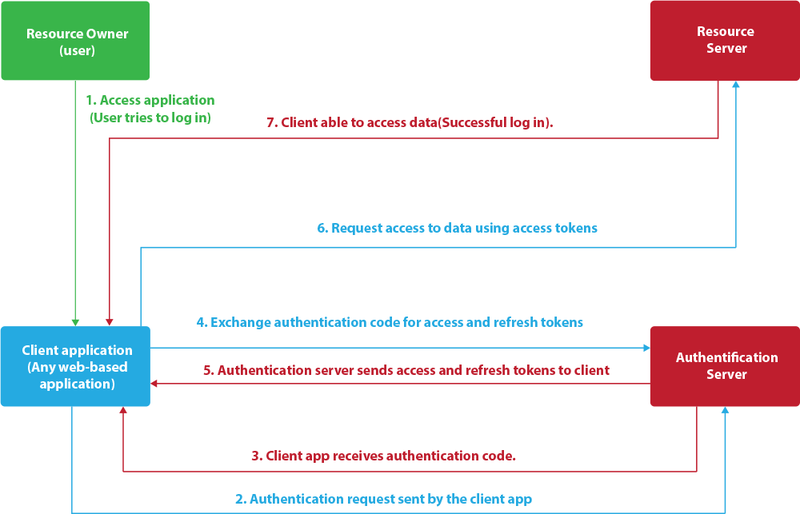 Zoho CRM provides REST (Representational State Transfer) API that allows you to connect the CRM system with third-party applications, and Zoho recently announced that a new version of the API for Zoho CRM is being introduced. Thus, API V2.0 will replace the current version as part of a two stage roll-out process. API Version 1.0 is approaching end of life and will be deprecated on December 31st 2018; meaning that this version will no longer be developed, updated or supported for new development, however it will continue to remain functional until the sunset date, which is slated for December 31st 2019.On this date API 1.0 will cease to function altogether and integrations based on it will stop working. If you rely on Custom Functions, Deluge and/or the API in any way, this update will produce far reaching effects on your current functionality and it is crucial that you understand what they are and how you can prepare in anticipation of the imminent update. The new API introduces additional features designed to improve the security of integrations with third-party systems, as well as improving the functionality and reliability of the API interface. Daily API limits will increase significantly. Rate limits determine how many commands your CRM system will accept and execute on a daily basis. It is important to note that several requests might be required, even for simple commands like creating a contact, if multiple operations are involved – such as searching for duplicates or updating the information for an existing record. Currently the upper limit for the Enterprise Edition is set to 25,000 requests/day/organization, whereas API Version 2.0 will allow for a maximum of 300,000 requests/day/organization (subject to the number of Zoho licenses available). This expansion ensures your automation will run smoothly and you won’t have to worry about interruptions in high volume situations. It is also important to note that API call limits are based on 24 hour rolling window with API V 2.0, whereas in V 1.0 API call limit is based on the PST timezone. Check out the full list of daily API limits for all Zoho CRM editions here. API V2.0 will include functionality related to Blueprints, approvals, and workflows. Currently a user’s actions can be restricted only for data inserted in the CRM through the graphic user interface (GUI). This update will allow the enforcement of rules and specific flows that are based on actions performed via the API interface as well, which means more control and better customization for your Zoho CRM system. “API Names” have been introduced so that the changes in names(labels) of custom fields and custom modules won’t affect your existing integrations.This update means that API Names will be used for modules, fields and related lists instead of display labels as per API V1.0. API V2.0 will only allow for parsing through JSON, whereas in API V1.0 both JSON and XML could be utilized. It is essential that you update the scripts that facilitate any integrations and convert the data format from XML to JSON to ensure continuity for your Zoho CRM integrations. Date/Time field values will be updated to the ISO 8601 format that includes the time zone. As a result, all date or time values that are currently being fed into Zoho CRM in a different format could be misinterpreted and may cause data loss. It is important that you review all integrations and ensure you use the new Date/Time format for any third party apps. Field format types will be updated in API V2.0 which means that all field names used to send data to the CRM via the API must be updated to reflect the new syntax. It is imperative that you update your scripts in order to avoid data loss. This list is not exhaustive and we recommend that you consult the official statement from Zoho for a full overview of all the changes that API V2.0 will introduce. In preparation for the update, it is critical that you review all existing scripts that use Zoho’s API interface and update authentication methods, API methods, field names, date formats. Since API V2.0 enables this functionality, you may also add Blueprint and Layouts functionality into the API code while reviewing it, should you require it. Although December 31st seems like a generous timeline to prepare for this update, it is important that you begin the process as early as possible. You should develop a comprehensive action plan that takes into account the complexity of these changes and their impact on your Zoho CRM integrations. You should allocate ample time for testing and validating your new code to ensure there are no interruptions when migrating to API V2.0. Should you require a professional opinion on how to best tackle this process, The CRM Expert can help. Contact us for a free consultation.